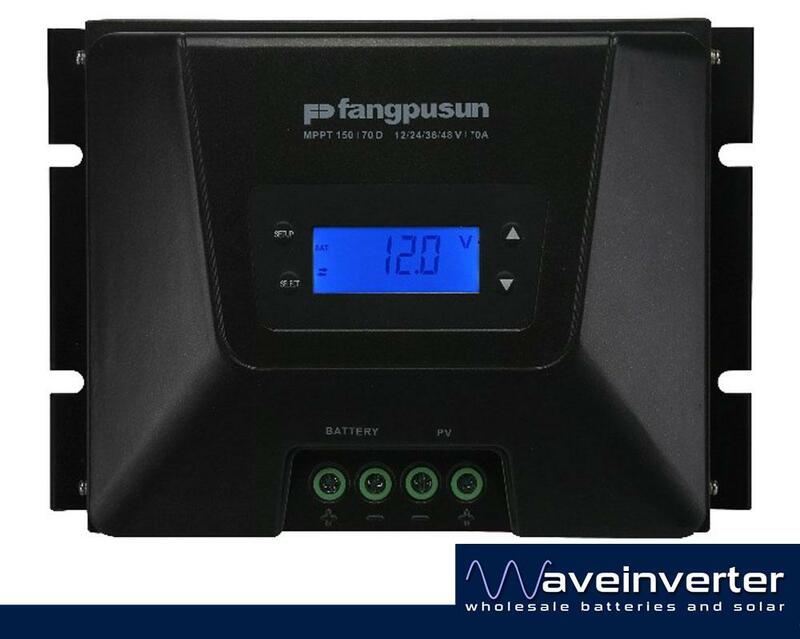 The 50A 12/24V FAST MPPT Controller from Fangpusun it uses the latest Continuous Maximum Power Point Tracking (MPPT) technology, which seeks out the maximum power available from a solar array. Voltage stepdown converter to be able to convert high PV voltages down to lower battery voltages of 12 and 24 volts. Connect a maximum of: 750 watts(@12V) , 1500 watts(@24V) to your batteries.